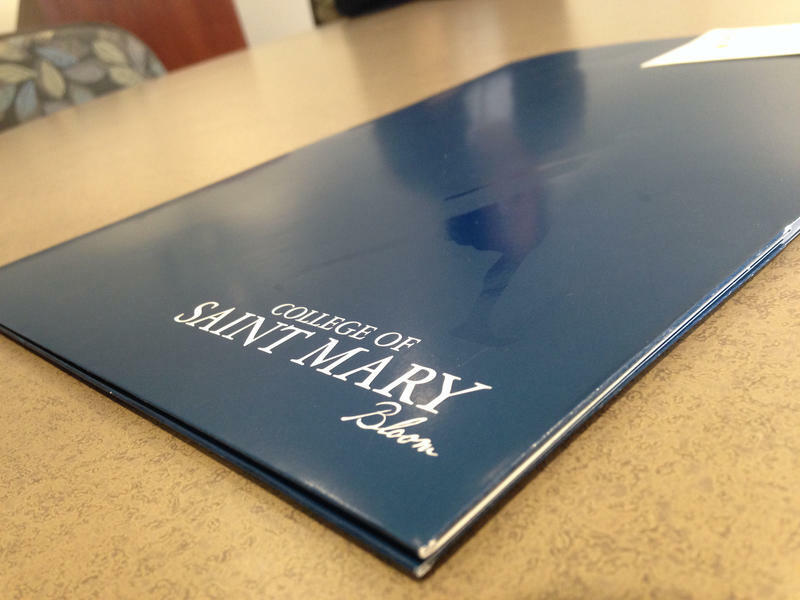 "We have known for quite a while that we are among the most diverse colleges, but we didn’t know we were the most diverse," exclaims Donnelly's president, Monsignor Stuart Swetland. The magazine describes the Midwest as a 12-state region consisting of Kansas, Missouri, Nebraska, South Dakota, North Dakota, Minnesota, Iowa, Illinois, Indiana, Michigan, Wisconsin, and Ohio. Swetland says the ranking affirms Donnelly's commitment "to be very inclusive of everyone in our community who wishes to pursue higher education." As a commuter college, Donnelly's students come from as far away as Topeka and St. Joseph, Missouri, he says, as well as from Kansas City, Missouri, and Johnson County, Kansas. But Wyandotte County is its home. "Wyandotte County has no single majority race," Swetland points out. The campus is 41 percent Latino, 29 percent African-American, and 16 percent Caucasian. The college's statistics show the student body includes 33 different nationalities. More than 80 percent of those students, he says, are the first in their families to go to school. "We reflect the diversity of Kansas City, we reflect the need there is in Kansas City to provide education for everyone, as our economy needs that higher education," Swetland says. "It’s no longer satisfactory to have only a high school diploma. It needs to be more than that." Given the current political climate of increased racial tensions and anti-immigrant rhetoric, Swetland acknowledges it is "a disconcerting time” for people of color within Donnelly’s student body. But he says the campus is free of those tensions. Three other small colleges in Kansas also made the top 10 for diversity: Bethany College in Lindsborg; Central Christian College in McPherson; and Kansas Wesleyan College in Salina. The magazine also released rankings at larger regional universities, national universities and liberal arts colleges, but no Kansas or Missouri schools made the top 10 in those lists. While Kansas is 86 percent white, according to the United States Census Bureau, Swetland suggested it is not surprising to see three Kansas colleges with religious affiliations topping an ethnic diversity list. He says such schools have often located their campuses and set tuition rates to attract a diverse student body. 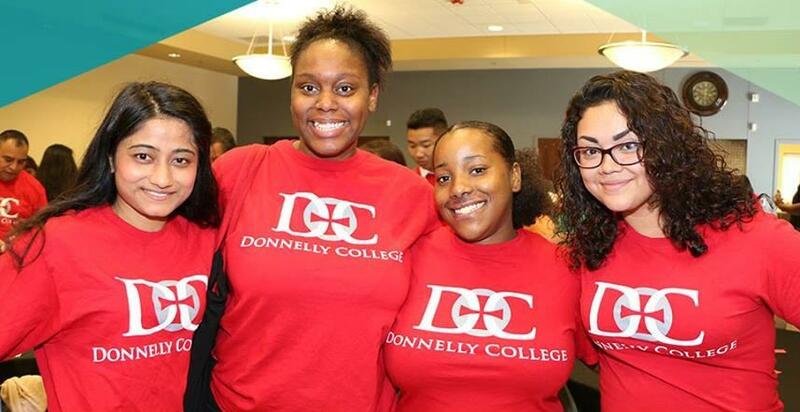 "For Donnelly that’s our mission: to serve those who might not otherwise be served, giving them an affordable, accessible quality higher education that allows them to go on to whatever it is God’s calling them to do." On a Saturday afternoon, four female students from Kansas City's Alta Vista Charter High School are making a three-hour trip in a rented minivan to Omaha. As they get closer, they each practice their pitches for why they deserve a full-ride scholarship to college. Brittany emphasizes the long hours she puts into extracurricular work making an electric car. Anahi lays out how she wants to be a lawyer to better "serve my community" as an adult. 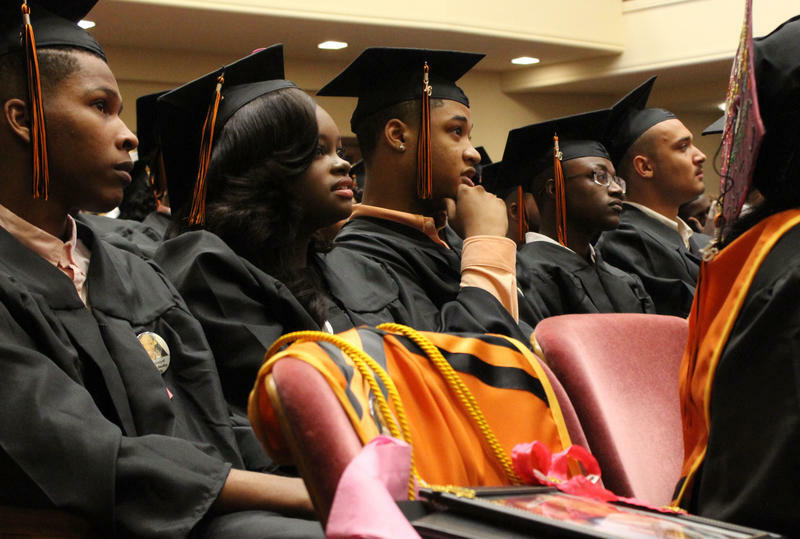 It’s graduation season for many area high schools. And for one Kansas City public high school, this year’s graduation was the last. The Kansas City Public Schools (KCPS) announced in late February that Southwest Early College Campus (SWECC) would be shutting down after the last day of classes on May 17. Johnson County native Sonia Nazario won a Pulitzer Prize for her series in the LA Times chronicling one Honduran teen's journey to the United States to find his mother. On this edition of Up To Date, Steve Kraske speaks with Nazario about the risks she took to get the story, and the ongoing struggle of immigrants and families in Central America.